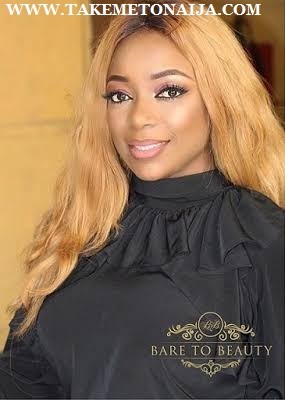 Bimbo Akintola is a popular Nigerian actress, known for Smoke & Mirrors (2008), Beyond the Verdict 2 (2007) and Beyond the Verdict (2007) and many more..
Akintola was born on 5 May 1970 to a father from Oyo State and a mother from Edo State. She had her primary education at Maryland Convent Private School, Maryland, Lagos State. She proceeded to Command Day Secondary School, Lagos. She earned a degree in Theater Arts from University of Ibadan. Bimbo Akintola is one of the most versatile character in the Nollywood Movie Industry and is very easy going. She is the third child of a family of six and a native of Oyo State, Nigeria. She started acting as a pupil with her peers for the school’s end-of-year drama events. As she took part in more plays, her passion for acting grew and became effortless with time. been dramatic, since I was very young. So maybe it began from that time. no, I must study Theatre Arts and I did. He finally agreed with me. What fond memories of growing up do you still have? she couldn’t stop me from climbing trees, because I was a real tomboy. After a while, she got used to it. Her debut acting was when she featured in the film OWO BLOW in 1995 alongside Femi Adebayo and followed up with Out of Bounds in 1997 with Richard Mofe Damijo a movie which she was awarded the Best Actress/English Actress in Nigeria. She was nominated for Best Actress in a Leading role at the 2013 Nollywood Movies Awards. She has also appeared in many popular movies such as The Mourning After, Out of Bounds, Diamond Ring, Dangerous Twins, 93days and 90Ninth Day. Some reports online even rank you as one of the top actresses who can’t do without smoking. Does it bother you sometimes? that would never end. So, I’m not bothered. important we get married but marry at your own time. have children, then do it. As a good-looking woman, how often do men approach you? of what we do, people want to date actors. Can you date an actor? interested in any actor. Never! She’s been involved in so many controversies in her life time one of the most popular ones is the rumor she got married to another actor Yemi Blaq, a report which was later debunked and put to rest.